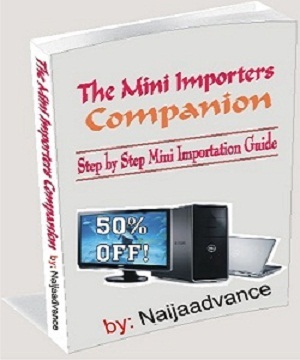 phone number, the subscriber will be given the option to alert his/her contacts of the new number via a notification. Found on WhatsApp for Android beta version 2.18.97, the "Change Number feature" offers three notification options. 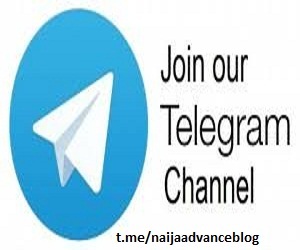 The three choices users have are to notify all contacts about the new phone number, notify only those contacts that the user has chatted with, or notify those contacts hand-picked by the user. 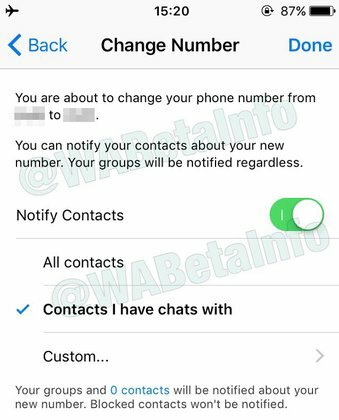 To send the notification, WhatsApp beta members should go to WhatsApp Settings > Account > Change number. In the top-right corner, users will see "Next." The subscriber taps on it, types in the old and new phone numbers, clicks on "Next" again and enables the Notify my contacts option. The user will then have to choose from all contacts, contacts that you’ve chats with, or custom. We expect to see this new capability eventually make it to the final version of the app for Android, iOS and Windows users. So far, WhatsApp has not given a time frame for the global launch of the "Change Number" feature.